Some exciting news today – the West Yorkshire Archive Service [WYAS] submission to the InterPares 3 Research Project for a case study of the MLA Yorkshire archives has been accepted. MLA Yorkshire, the lead strategic agency for museums, libraries and archives in the region, closes this week (so that live website might not be available for too much longer! – In fact, I’ve been experimenting with the Internet Archives’ Archive-It package as part of the MLA Yorkshire archives work) as part of a national restructuring of the wider organisation, and I’ve spent much of the past few days arranging the transfer of both paper and digital archives from the local office in Leeds. InterPares 3 focuses on implementing the theory of digital preservation in small and medium-sized archives, and should provide an excellent chance for WYAS to build up in-house digital preservation expertise as we feel our way with this, our first large-scale digital deposit. I’m really excited about this opportunity, and I hope to document how we get on with the project on this blog. 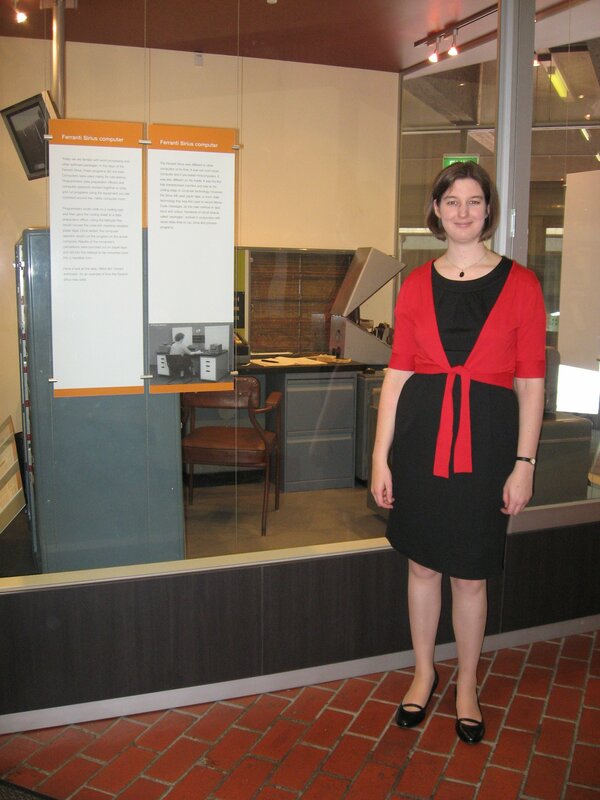 Presentations from the successful open consultation day held at TNA on 12 November on digital preservation for local authority archivists are now available on the DPC website – including my report on my Churchill Fellowship research in the US and Australia. Also featured were colleagues from other local authority services already active in practical digital preservation initiatives – Heather Needham on ingest work at Hampshire, Viv Cothey reporting on his GAIP tool developed for Gloucestershire Archives, and Kevin Bolton on web archiving work at Manchester City. Heather and I also reported back on the results of the digital preservation survey of local authorities and a copy of the interim report is also now available on the DPC site. A paper incorporating the discussion arising from the survey, from the afternoon sessions of the consultation event, will be published in Ariadne in January 2009. A visit to Monash’s University’s Caulfield campus, just a short train or tram ride away from central Melbourne. I’d asked to visit the Monash Museum of Computing History, which was established by the Faculty of Information Technology in 2000 as a resource for the study of computing history and to show how far information technology has developed in a very short space of time. 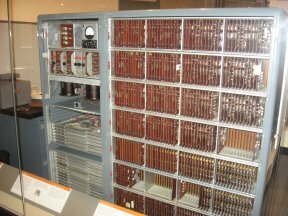 The museum has a small collection centered around one of the four Ferranti Sirius computers built in Manchester and shipped to Melbourne in the 1960s. The collection is attractively displayed in a public foyer, where there is a continual to-ing and fro-ing of both students and staff. Putting the University’s Sirius on display immediately generated other offers for the museum, and even the donation of a home movie demonstrating the Sirius in use. The Director would like to obtain further funding to extend the use of the the museum as an educational tool for schoolchildren. Monash integrates its teaching in archival and information science into the information technology faculty, obtaining an unusual but highly beneficial cross-fertilisation between pure computer science and informatics. I was introduced to several of the faculty staff, including Dr Joanne Evans who recently completed her PhD on building sustaintable, automated and re-usable recordkeeping metadata (as part of the Clever Recordkeeping Metadata Project), and is now on secondment from the eScholarship Research Centre at Melbourne University working on the Smart Information Portals Project. These projects have developed in part in response to Australian public sector recordkeeping audit reports which have demonstrated that metadata is often ignored in record creation. We talked about the importance of collaboration amongst archivists and records managers in addressing issues of digital preservation, and the need for a coordinating layer to take in hand major digital preservation projects and transform these into something which can be applied in small Archive Services. In Australia, although the State Archives are comparatively large in comparison to UK local authority archives, there are still many small archives, particularly in schools, who lack the technical infrastructure and management processes necessary to take on real projects in digital preservation. Joanne’s work at the eScholarship Research Centre looks at culture change and how digital recordkeeping influences, or needs to influence, organisational structures and research practice.